For ages young and old, this pocket puzzle is a little easier to contend with! The pocket puzzle design offers bigger pieces and a smaller size for portability, so everyone can enjoy some puzzling fun. 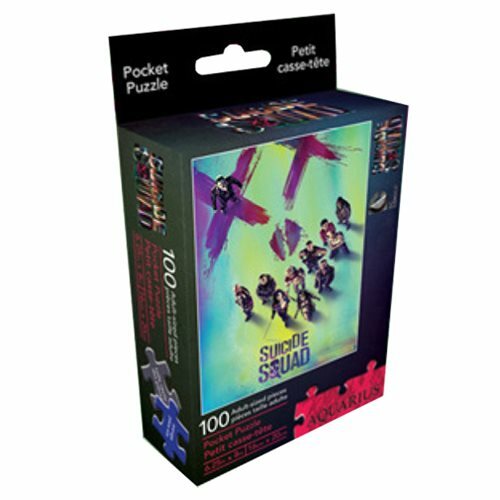 This Suicide Squad 100-Piece Pocket Puzzle features the team standing in front of the film's spray-paint stylized logo. Measures approximately 8-inches tall by 6 1/4-inches wide when completed. Ages 14 and up.